I am so excited to be guest blogging for the SAMQG! My name is Joanna Marsh and I am a member of the San Antonio Modern Quilt Guild. Some discussion took place at the Creation’s retreat in August regarding a mini quilt swap for members. Several people really wanted to do a swap, so I volunteered to put together some guidelines and organize this swap. 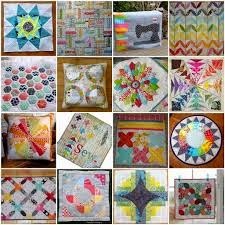 If you aren’t familiar with mini quilt swaps and what they are, I’m here to give you some great info! Mini quilt swaps are EXPLODING on social media. People are participating/hosting on blogs, flickr, Instagram, etc. Most mini quilts are defined as being 8”x8” to 24”x24”. Each swap host typically has their own rules and guidelines they want participants to abide by. Some swaps have special themes. The general purpose of swaps is kind of like pen pals. You may find out some limited information about your swap partner, and then be able to put your own creative juices into their mini. Some popular mini swaps are Schnitzleandboo (Instagram), The Strawberry Swap (Instagram), The Sewing Loft (Blog), and tons of other individuals on Instagram, blogs, etc. Some swaps are within specific groups, and others are open to just about everyone. Since the SAMQG has some long-distance members, we will be allowing everyone the option to participate. If you’re local, just let me know on your entry form that you are open to having a long-distance partner. If you’re an out-of-town member, please do the same. If you are assigned a long-distance partner, you are responsible for shipping costs, along with making sure you ship your partner’s items no later than December 28, 2014, which is an earlier deadline than the in-person swap. SAMQG’s 1st Ultimate Mini Quilt Swap! Sign up for the swap by the September SAMQG meeting. All participants will be assigned a SECRET partner no later than the October meeting. 1. Break out the good fabric! Please use quilt shop quality fabrics. This is a classy swap, so think quality. 2. Break out your best skills! Use this as an opportunity to showcase your awesome talents! 3. Mind your deadline! 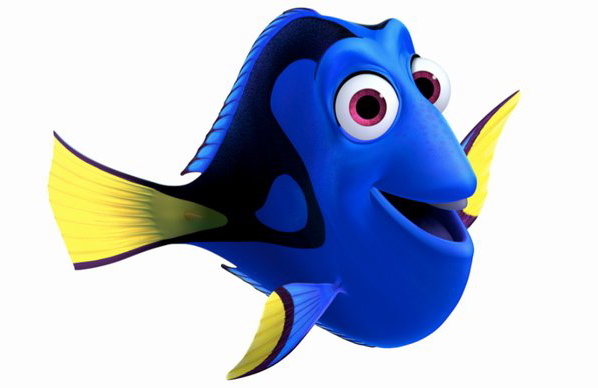 Please don’t commit to this swap if you don’t think you’ll follow through. It won’t be fair to the recipient of your mini if you’re empty handed at the end of the swap. 4. Think of your mini as a gift! You may want to finish it off with a pretty ribbon, or gift tag. Presentation is important too. 5. Keep your recipient in mind when creating your mini! If their favorite fabric designer is Kaffe Fassett, think about that designer when selecting your fabrics. That doesn’t mean you can only use his fabric, but definitely don’t select subdued fabrics with no color. However, this is something created by YOU, so DO put your creative juices into this. 9. Finished mini quilt should be at least 8” x 8”, and no larger than 24” x 24”. 10. This swap is a SECRET. SHHHHHHHHH! Don’t tell ANYONE who you got. NO SPOILERS! 11. If something happens and you cannot finish the quilt swap, you must communicate that with Joanna Marsh via e-mail : kustom.kwilts@yahoo.com The earlier you let her know, the better! 12. Fill out the following information to help your partner know what you like & return to Joanna Marsh no later than the September guild meeting to join the swap. You can return this in person, or via e-mail to Joanna. Would you be open to receiving a holiday themed mini, and if so, what holiday? Would you be open to shipping your mini if assigned a long distance guild member? If you answer yes, you are responsible for shipping to your swap partner by December 28, 2014. Please make sure they are not empty handed! Keep in mind that the person assigned to make your mini is not making a made to order gift, and this information is suggestion only! They would like to put their personal touches on it too! Christmas Gift Exchange will be a pillow! We had so much fun doing this a few years ago that I'm bringing it back Remember that you do NOT have to participate in this. If you don't want a pillow, then you don't have to make one. Just come hang out at the party. We exchange White Elephant style where we all draw a number and pick a gift. It can be stolen twice. The third owner is the final owner. Size: No smaller that 12 inches square and no bigger than 24 inches square. It can be whatever shape you want. Just keep it within those parameters. If it's a circle, then the diameter should be between 12 and 24 inches. You can either use a store bought pillow insert or make your own. Please try to stick with modern fabrics that are quilt shop quality. Other materials besides cotton are allowed. Home dec weight is ok too. I've seen quilters embellish with wool ect. Embellish as much as you want. I might go a little crazy. Beading, trims, appliqué, Pom Poms and ric Rac? Why Not? This does not have to be a Christmas themed pillow. Please bring your item wrapped. Did I leave anything out? Let me know. SAMQG Block of the Month (BOM) is a really really popular program. Our BOM Chair, Kelly, has consistently coordinated blocks that are not only super fast & really easy, but they are contemporary and they yield a quilt block that "can be trimmed." That last part is really important. All the blocks she's organized are designed that if you need to trim the block down, because it was created on a different sewing machine, by a different stitcher, you won't lose the integrity of the block. You will not be chopping off points or anything like that. The last couple months we have had so much participation that the winner pretty much leaves with a full size quilt. This one above appears to be missing a block in the corner, but we have a member who was un-able to make the meeting & still made two blocks to throw in. Now that is a happy winner right there! Our September Block of the Month is a blue or green striped rectangle. You'll have to check back or check the FB page for directions and sizes. Just keep sewing. Just keep sewing. Just keep sewing. That's how the song goes, right? Our guild is sewing and quilting like wild women! Check out our show and tell from July 2014.